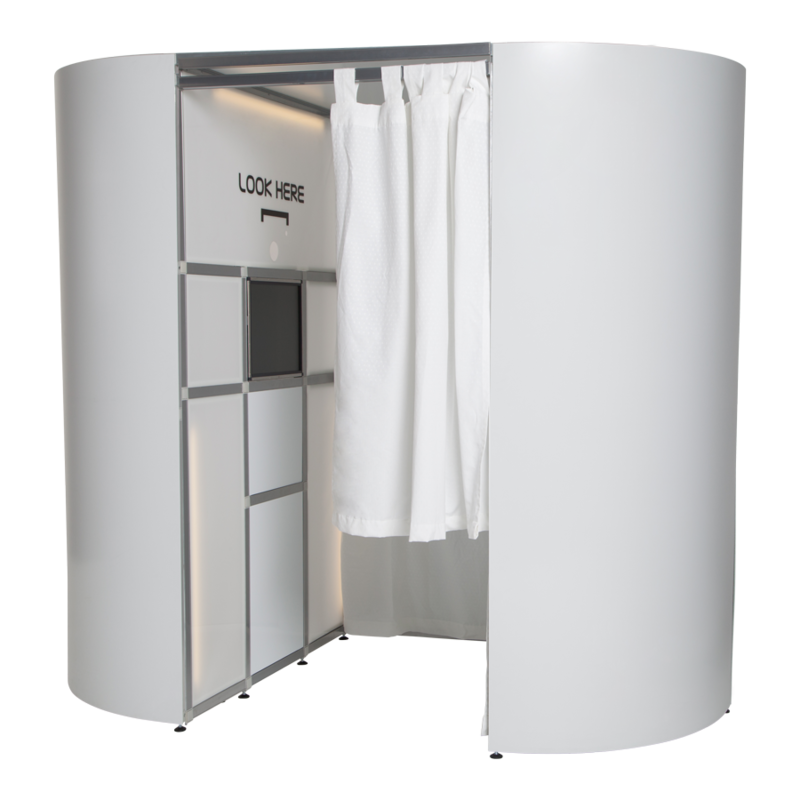 Oval Booth, with plain white skin. The special, limited offer on our ex-display booths comes with plain white skins only, and with the Apple Mac or Windows computer only. There is 1 Apple Mac and 1 Windows booth available. These are ex-display booths that have been in our showroom for 2 months only.